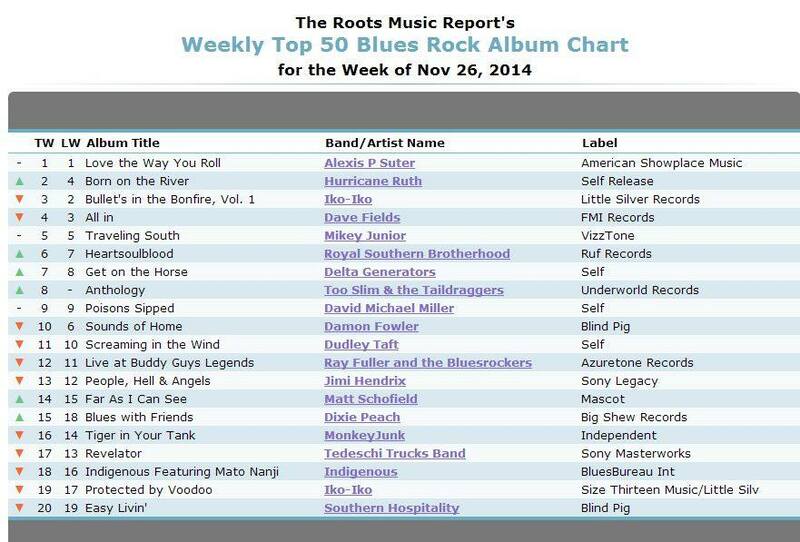 ALL IN in the Top 5 on The RMR Top 50 Blues Rock Charts 19th Week! 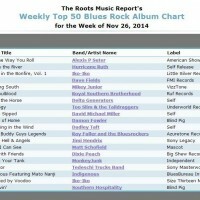 ALL IN has been in the Top 5 on The RMR Top 50 Blues Rock Charts for 19 weeks! Wow, what a fall its been. Despite my appendicitis ALL IN has been TEARING up the charts! My appendix got inflamed Sept 14th and I had to cancel all my shows with the exception of THE LEGENDARY BLUES CRUISE this past October. The doctors treated my appendix with “mind altering” antibiotics. Wouldn’t you know, after I got off the cruise and my appendix got inflamed again! I had my appendectomy Nov 17th and I’ve been rapidly healing. Saturday Nov 29th I was the musical director/co-host of THE BIG CITY BLUES MAGAZINE HAPPY TO HAVE THE BLUES AWARD SHOW. Wow…. WHAT A SHOW! Honorees included: Bettye Lavette, Bob Porter, Carmen Marotta with special guests Laura Rain & The Caesars and Sari Schorr. This next week I’m off to Wilmington NC to do two shows at THE RUSTY NAIL Dec 5th & 6th then next week I’m playing in Cleveland OH Dec 11th at BROTHERS LOUNGE then Friday I’m in Davenport IA at MUDDY WATERS and then HOPE & ANCHOR Saturday Dec 13th in Loves Park IL. I’m so glad i’m better!!!!! I hope to see you soon at one of my shows!!! http://www.davefields.com/wp-content/uploads/2015/06/davefeatured.jpg 172 499 davefields http://www.davefields.com/wp-content/uploads/2018/06/davefields.jpg davefields2014-12-01 23:13:452014-12-01 23:13:45ALL IN in the Top 5 on The RMR Top 50 Blues Rock Charts 19th Week!